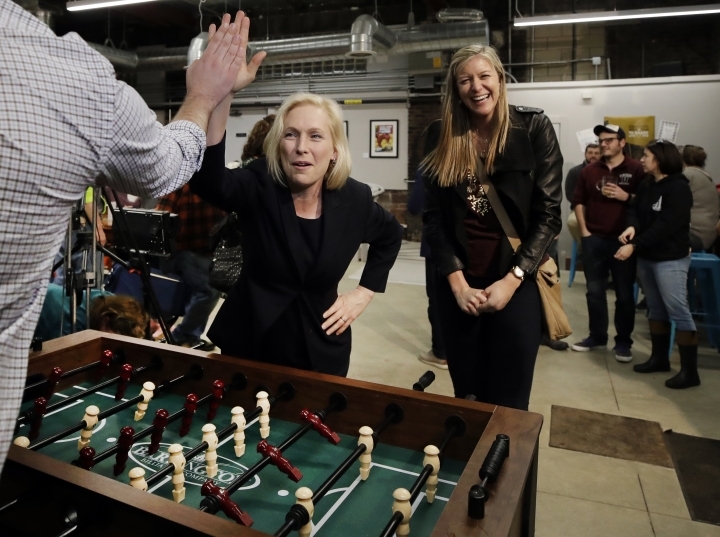 MERRIMACK, N.H. — Democratic presidential hopeful Kirsten Gillibrand is trying to connect with voters' important issues on the ground — or, in some cases, underground. The U.S. senator from New York held two roundtable discussions Friday in New Hampshire communities struggling with contaminated water. The second was in Merrimack, where hundreds of private wells in the town near a plastics factory have been contaminated with suspected carcinogens, and the state has closed two of the town's public wells. The same company has caused contamination woes in New York, and Gillibrand highlighted her efforts to help affected residents there. But she also broadened the conversation, arguing that similar incidents across the country point to larger problems of racial injustice and income inequality because it often hurts residents who can't afford water testing, health monitoring or new homes when their wells are polluted. "This goes to the much bigger problem. There's a growing divide in this country where the wealthy have access to every politician, access to every decisionmaker, and get to set the stage for America. The rest of the country gets no say," she said. "If you are in a low-income community or a community of color, a lot of this environmental degradation follows you. It's where polluters pollute. It's where you have less power because you don't have the money." 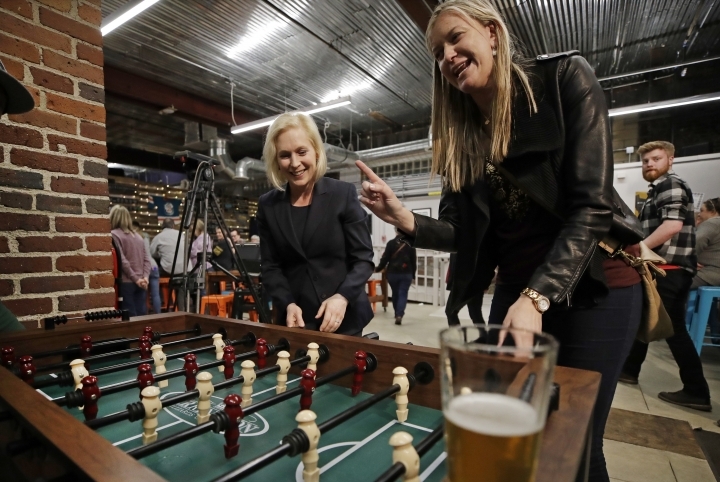 Gillibrand was joined by several local activists and freshman state lawmakers who were spurred by the contamination issue to run for office and dubbed themselves "Water Warriors." Democratic Rep. Kathy Stack of Merrimack said she learned her well was contaminated about two years ago, and she is frightened every day remembering how her children drank the water as they were growing up. Now that they've grown and left home, she's stuck in a house that is too large because no one will buy it. "A purchaser can't get a mortgage on a contaminated well," she said. "I wait, and I struggle." 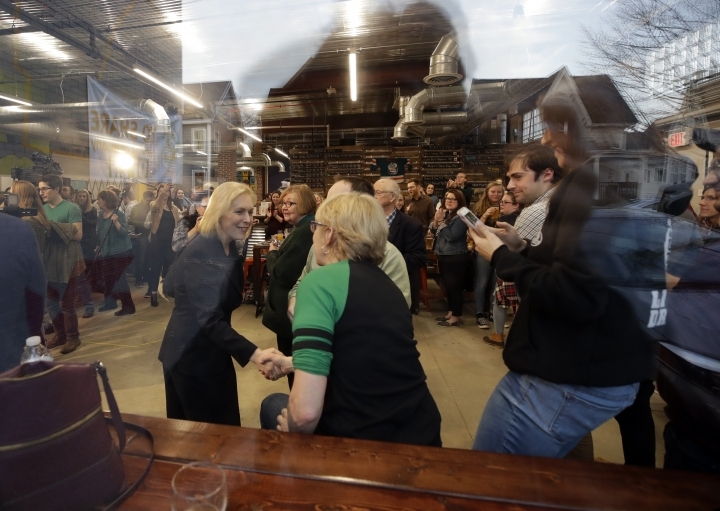 Gillibrand's first discussion Friday was in Portsmouth, where decades of use of a toxic firefighting foam at a former military base contaminated wells later used by businesses and a day care facility. She said she will continue to elevate the issue. "I think that's what running for president is all about. I'd like to serve this country, and to serve this country well, I need to hear directly from the people I will represent," she told reporters. "For any family, there is no more crippling issue than to know that their water is polluted, to know their child might be at risk or their own health might be at risk because of legacy pollution."